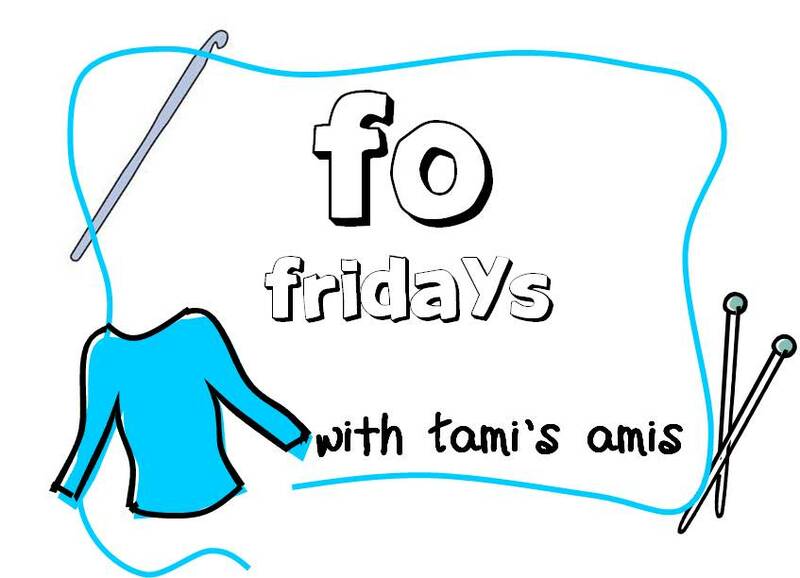 I have another FO to share with you today, I am over the moon with this one. I am one of thousands of people who have knit this pattern, it is extremely popular over at Ravelry!! 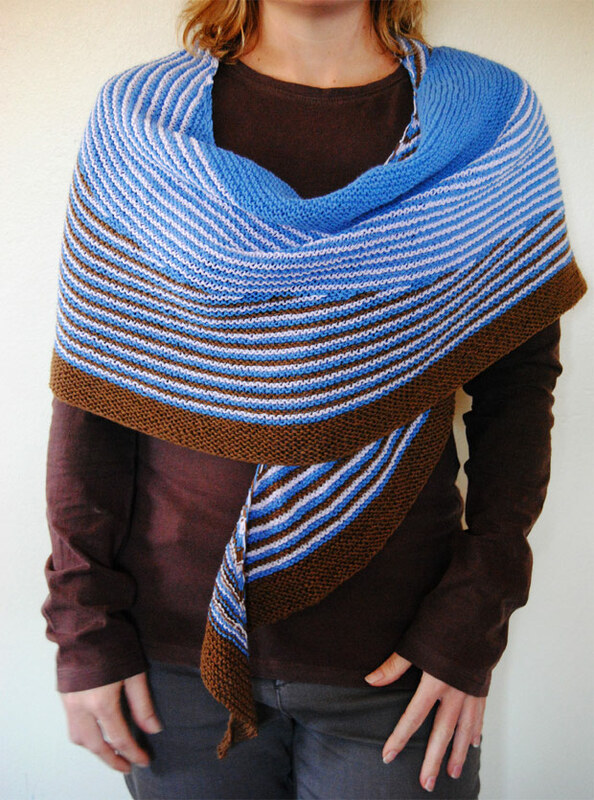 The link to the actual pattern can be found HERE, as I type this 3494 people have linked their Color Affections on Ravelry! 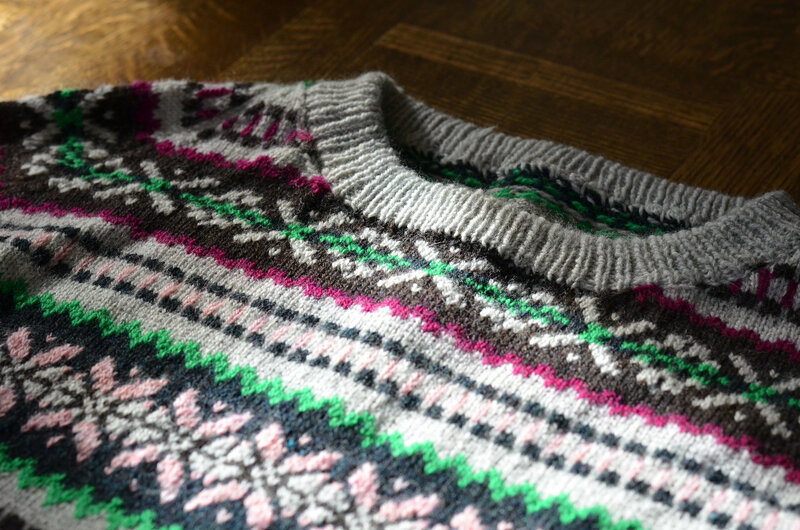 I used one 100g ball of each color to knit this pattern. I just made it with the main color blue, but still had a bit left over of the brown and lilac colors. I have worn this loads since finishing it, and will be knitting another one soon, it is such a wearable item. This week I wore it as a scarf and it looked lovely!! 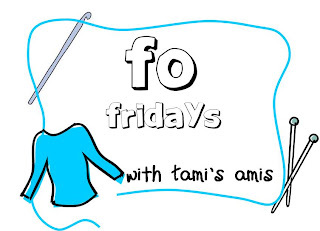 Once again I will be linking up with Linda's Creative Friday as well as FO Fridays. Thanks so much for stopping by today, I hope you all have a wonderful weekend!! :) I see some rugby watching and knitting on the cards for me! Lovely Rene, certainly what one needs for these cold days we are having now. Have a great weekend, and good luck in Bloem this weekend. Fabulous! I love it, and the colours you've used. I've just started my second Color Affection. They are so much fun to knit and wonderful to wear, it's not surprising this pattern is popular. Ooooh, lovely. I have this in my queue but no yarn for it yet. Its so pretty, I love the colors. I think I may need to put this pattern in my queue. That is beautiful, such a useful shape and I love the colours you have chosen. That looks fabulous. I know so many people who've knitted this and loved it that I'm going to have to give it a go. 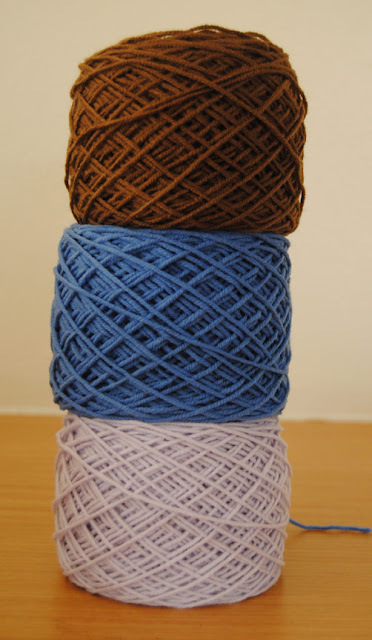 Your colours work really well together, and I love how the brown comes through. Gorgeous! Amazing, this pattern is starting to call me. I have been able to ignore it so far :p (many wips and I'm on a yarn diet haha). But you make it hard now! Oh, it's beautiful! 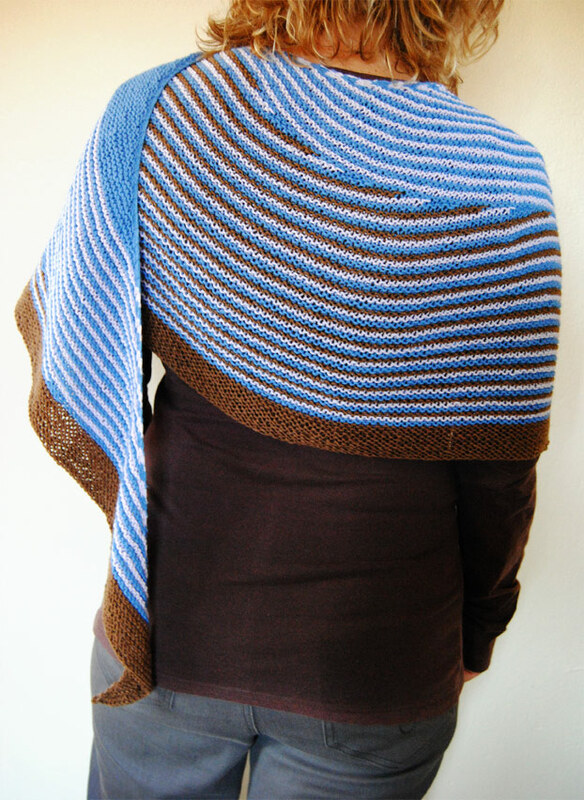 The more I see of this shawl, the more I want to knit one of my own! Your lucky that it's scarf and shawl season in the southern hemisphere right now. I know so many people who have made it but are waiting for Sept/Oct to wear it!